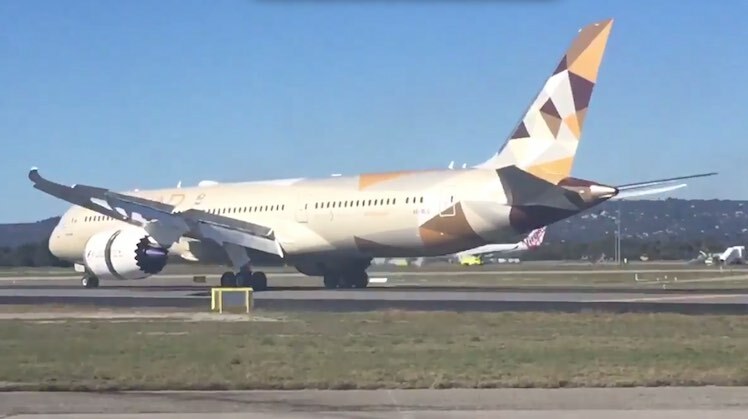 Etihad Airways has introduced the Boeing 787-9 Dreamliner onto its daily flight to Perth, replacing the Airbus A330-200. The change of equipment was officially marked on Thursday, but the airline’s first 787 flight to Perth in fact landed on Monday thanks to an unscheduled aircraft substitution. 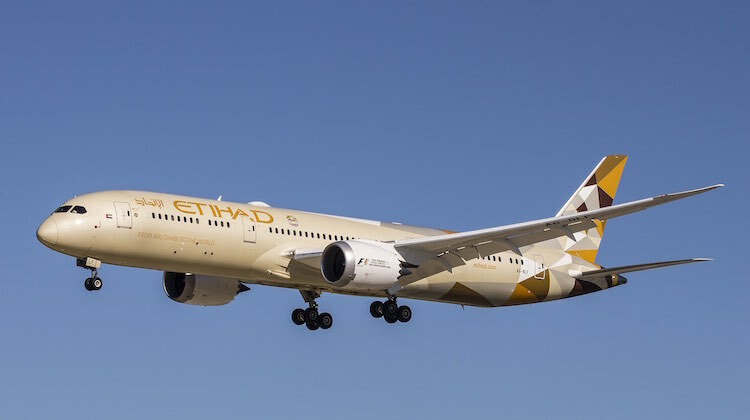 “Since launching flights between Perth and Abu Dhabi two years ago we have enjoyed strong two-way demand from business and leisure travellers on the route,” Etihad Airways senior vice president of marketing, Shane O’Hare, said in a statement on Thursday. Etihad’s 787-9s are configured with 28 business ‘studios’ and 271 economy ‘Smart Seats’. Perth is Etihad’s second Australian port to be served by the 787-9 after the aircraft was deployed on the Brisbane route in June 2015. I really like the paint scheme! Bring on the A350’s!